First impressions of the Thomas Cook brochure aren’t good – there’s no mention of the anniversary at all. Luckily, this is effectively the Leger brochure in reverse, since as soon as you turn to the contents the 15th hits you in the face… almost. The “Signature” line of Thomas Cook brochures is meant to appear more select and higher class than their usual brochures, using colourful and crisp images in a minimalist design. I can remember their brochures looking great a few years ago, but unfortunately, since the design hasn’t been majorly updated for a few years, it all just looks a little bleak, not the colourful, exciting, anniversary sell we’d like for a Disney resort. The 15th Anniversary page is good for information, almost too good. There’s a lot of text for a brochure people would usually casually flick through, and the design again looks quite tired. Are you noticing a pattern with the brochures? 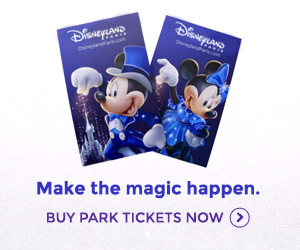 The same images, the same text – Disneyland Resort Paris have certainly made it clear what they want presented, it’s just a shame no-one has done better than Thomson in presenting it yet. A special mention to the Seasons page of this brochure, though. Lots of information, lots of emphasis and some good pictures. Oh, and they even confirm that Wishes will be returning as the 15th Anniversary fireworks display! Finally, it’s good to see that Thomas Cook have followed Thomson by adding details of the 15th Anniversary to each park page (maybe another tip from DLRP? ), so anyone who skipped over the first few pages still has another chance to realise there’s an important event next year. It’s not a very exciting brochure, but they’ve got almost everything covered so marks lost mainly for no anniversary mention on the cover. Thomson is still the one to beat! If you’re in the UK, you can order the brochure right here. Whilst we’re talking 15th Anniversary brochures, there’s good news for anyone in the UK – the official 2007 brochure is now available to order! We’ll have a review of the entire brochure as soon as possible, but until then – if you’re outside the UK and you’ve spotted another unofficial 15th Anniversary brochure, please get in touch and send in scans, so we can see how the celebration is being advertised elsewhere.